I was raised in Seattle, so my love for coffee was inevitable! My preferred drink is a cafe latte with a touch of hazelnut and caramel. Even if you are not a coffee drinker, there’s still reason to celebrate today ‘cause it’s Friday! I love your illustration Mikayla, and the fashionable characters which you’ve brought to life so vividly. I especially love the red thigh high boots and the different tones in them you’ve captured so well. 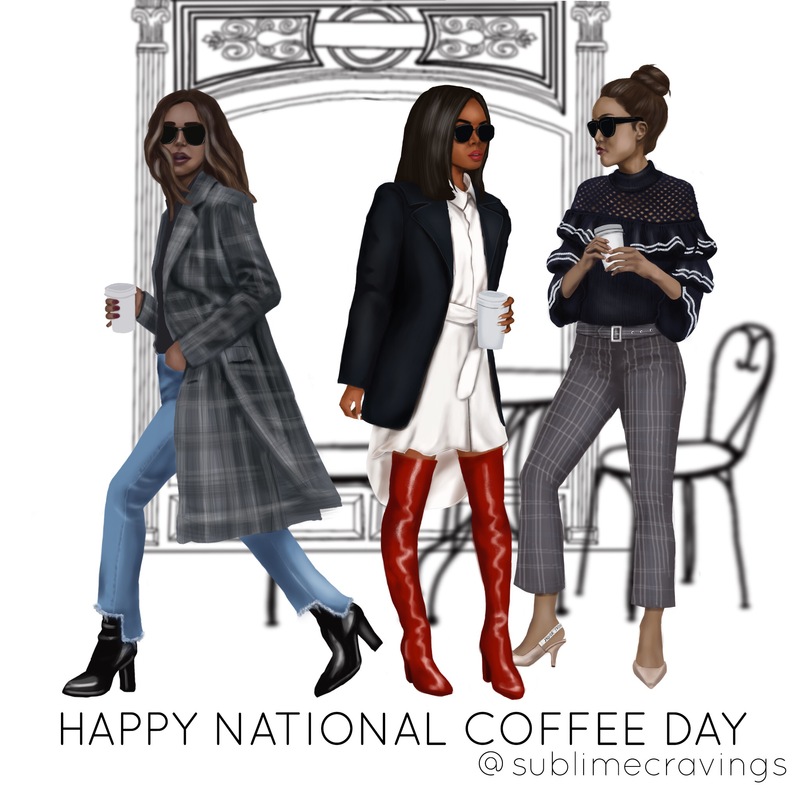 I hope you enjoyed National Coffee Day! Thank you, Saba! The red boots are my favorite too!